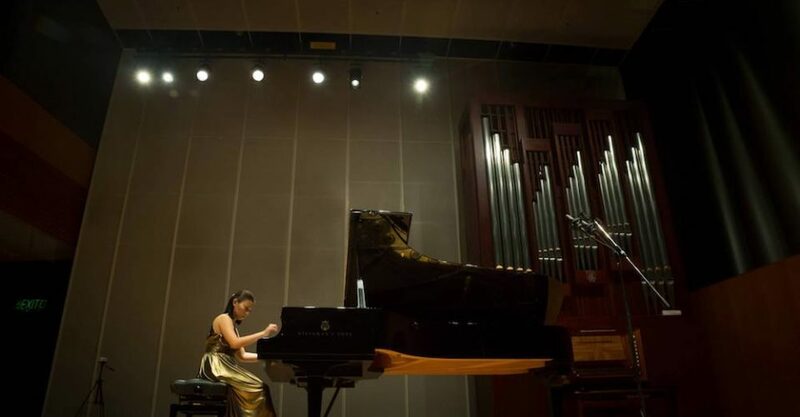 As a classical pianist, Sophia Yan has played everywhere from Carnegie Hall and Lincoln Center to the Château de Fontainebleau, and as a journalist, she has held roles at CNN, Bloomberg and Time Magazine. Yan’s mother, a violinist and teacher, gifted her with a tiny instrument when she was just 3 years old. “It was a 1/16 size violin, which pretty much looks like a toy,” she remembers. Shortly after, Yan turned to the piano, paving the way for the path she took. She has won awards in the International Concert Alliance, the International Young Artist Competition, and the Steinway Society Competitions. Her very first job? Nabbing shoppers in a local mall to respond to short surveys.